Finally tried one of the new Wet n Wild 8-pan palettes I picked up. Decided to start with Comfort Zone. This palette is amazing. I took a ton of pictures trying to pick up the green duochrome on that Club-esque shadow, don't know if I really captured it well, though. Brows are still looking rough. They're almost grown to where I want them to be, but I'm starting to get impatient! Normally I complain about them growing in too fast, now they can't grow fast enough? I used the right half of it this time. If you have brown eyes and an extra $5 to spend on makeup, YOU NEED TO GET THIS! It's AMAZING! It makes my black-brown eyes look like there's actually color in them and it's so easy to apply and blend. 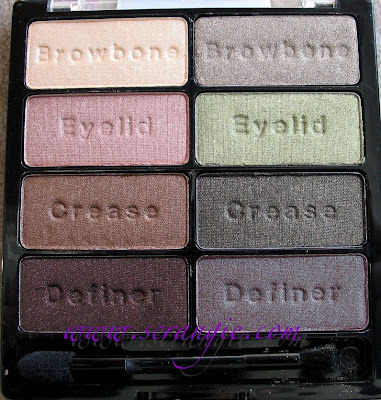 The shades are nicely pigmented and super soft, no chalky hard shadows here. Every color in the palette is gorgeous. I can't believe it's only $5, it's so nice. 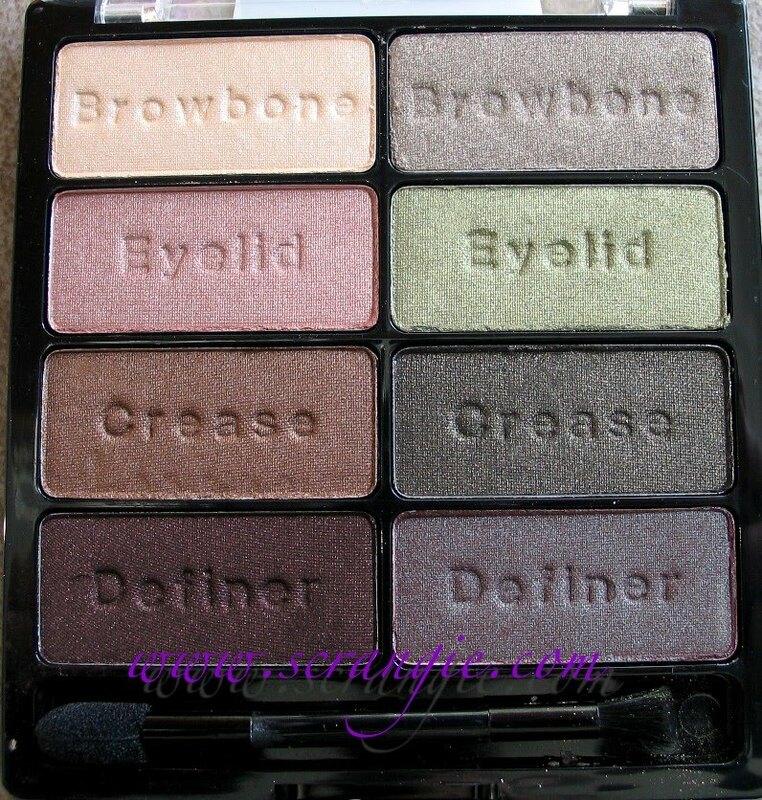 The only downside for me is that the shades labelled "Browbone" are way too frosty for me to wear on my browbone. I'm just not a fan of that frosty-shiny-reflective white browbone highlight look. I prefer a matte or just a slight shimmer as a highlight. But, other than that, excellent palette. And I forgot to add- I use a Shiseido eyelash curler. People always ask and I just forget to mention it. I recently switched from the Shu Uemura and I couldn't be happier. I love the Shiseido way more, especially since they actually sell refills for it, unlike the Shu. I've been meaning to do a full review of it, but I get so distracted by pretty shiny things that I never end up posting one! Pretty look!! 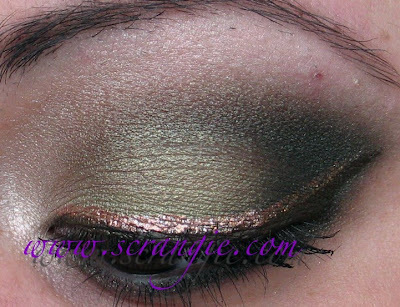 I love that the green eyelid shade actually shows up. This is as fabulous as always! The stila eyeliner really finishes the look off. That looks absolutely GORGEOUS. I may have to pick up one of those palettes for myself! Your eyes are always so gorgeous! How does the Shiseido eyelash curler differ from the SU? EVB911, the Shiseido has a much wider, flatter (less curved) pad so it doesn't ever pinch me. You can also get curler pad refills for the Shiseido, Shu doesn't sell them, forcing you to buy a new curler every time you run out of pads. That's enough to make me switch for good! I have the blue palette and I used the dark blue (I don't remember the name) and after a few hours it started creasing, not really bad but enough for me to notice. And I also used UD primer potion. Did this happen to you after a while? Can you comment on how these shadows differ from Wet 'n' Wild's holiday palettes and/or last year's core palettes (named after deadly sins, I have Lust)? I know the colors aren't quite the same, but I'm wondering about pigmentation and softness and fallout compared between the two. Thanks! Royalty04, hmm, I didn't have any creasing, but I did notice that the colors were slightly faded by the time I went to bed. Crazy jealous of your skills and also wish we could get Wet n Wild in the UK. WoW! O_o you have amazing application skills. This is stunning. Love the look you put together! woahh- your eyes are gorgeous, this looks great on you ! I also used to use the Shu eyelash curler but have discovered that the $3 pack of Shiseido pad refills fit in the Shu curler!!! after seeing this post, i went out and bought the palette and i'm wearing it today...it is amazing. Wow, so very pretty! It reminds me a lot of the Kat Von D Ludwig palette. But at a way better price. Lindsey, really? No way! That's awesome! Origami, thank you for pointing that out! I didn't make the connection, but now I totally agree, cheaper Ludwig palette! Scrangie- Thank you as usual for the palette views. I think your eyes and your techniques are absolutely amazing, I am always SOOO happy when I see you have a new post. Kind of like Christmas except I just get to look at your presents. JK. My daughter and I go out and buy the stuff we like. She has been out several times now looking in our local stores for these new ones by Wet n Wild. 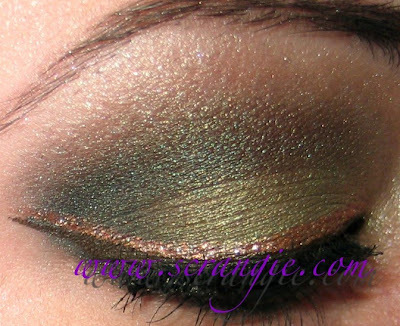 OMG this look is sooooooo beautiful! Love it! i love the look. the way you do your eyeliner is so pretty! My new favorite is the Hot Lashes heated 2 pc lash curler. It has gotten great reviews at Amazon.com--Cult favorite Hot Lashes Makeup artist Kit..Absolute best out there~! They have a great sturdy 24K gold metal curler similiar to the Shu Uemura and Sheisdo one that comes with its own seperate pink small heater base that heats just the pad in the curler, this way my curl really lasts. HTH~…:) Abundant blessings to all..
That is gorgeous! Love the double liner!